I’m officially 3 weeks into my SIBO diet and it’s been, well, hard. I’m not looking for pity or a pat on the back. I don’t want to discourage you if you have to take on a similar change. I’m stating the obvious, which is that the struggle is real. I think sometimes in the healthy living space we forget failure is just as inspiring as success. And we do people a disservice by proscribing protocols that we claim are easy, when change of any kind is anything but. Though I have had an arsenal of cooking skills to pull from, an accountability group to support me, and the luxury of eating my daytime meals at home, I can tell you that even for me, this low FODMAP, alcohol, grain and sugar-free thing is tough. But slowly but surely, it’s working. And there lies the inspiration, friends. Not from the ease by which we make a change, but the magic that may result. I’m going to do a deep dive into my current SIBO protocol next month (which is, er, tomorrow). In the meantime though, I’ll say that many of my symptoms have begun to subside. My first trimester-esque belly (which I had chalked up to a fact of life of my 30’s) is slowly starting to recede back towards my hip bones. The inappropriate burping that was a byproduct of trapped gas, is less frequent. And some weird rashes have disappeared from my legs. In a word, I’m becoming so much more charming! Still, the struggles of socializing while eating dressing-less salads and bare chicken breasts persists. And there’s no time I wish I could throw in the towel more, and throw my head into a bucket of garlicky guacamole, than Super Bowl Sunday. My friend Adam’s parents have been hosting the same Super Bowl party since 1976. And while the crowd has morphed and procreated, the one constant for the last four decades is that our hostess takes a head count and then makes food for four times that number. I’ve been having to forgo the famous cannelloni for the last six years (#glutenfreelife), and am almost over it. Adding beans, avocado, salsa, MARTINIS and pretty much everything else to that list just makes me sad. My hope is that in mid-February I’ll be SIBO–free and can begin reincorporating some of these foods back into my life. But I also know that for many it takes much longer than 6 weeks to get your gut on board. 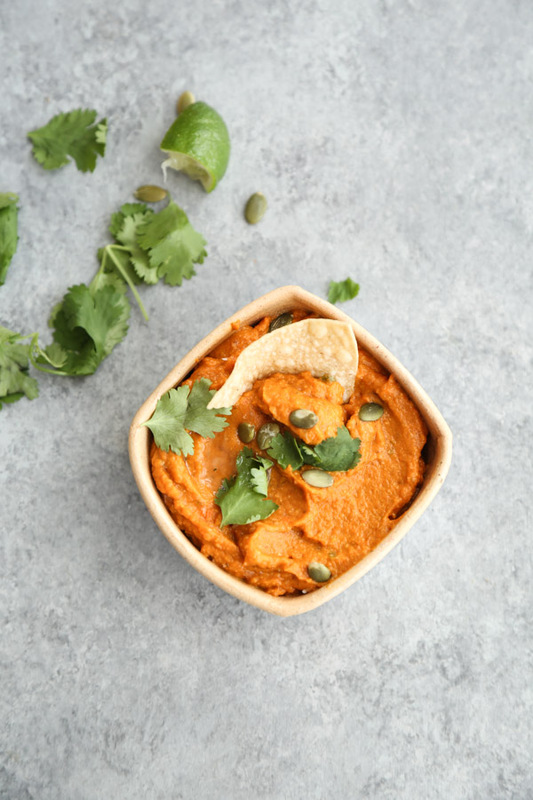 For those people, who I will potentially be among, I wanted to offer a healthy, low FODMAP Tex Mex solution to game day: Roasted Carrot Salsa. One of the best things you can do when cooking without garlic and onion is add as many spices as possible, a tactic that lends itself well to anything in your southwestern arsenal. 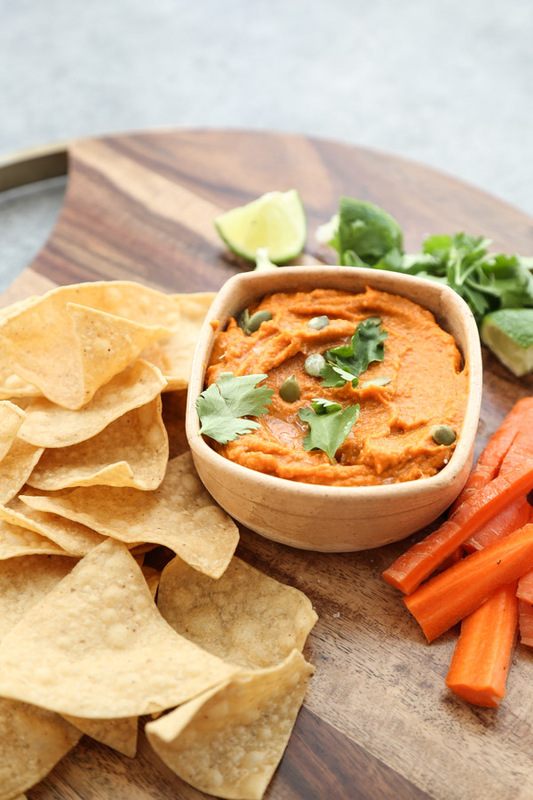 In the case of this dip, carrots and jalapeno get tossed with a mix of cumin, chili powder and oregano and roasted until caramelized and sweet. 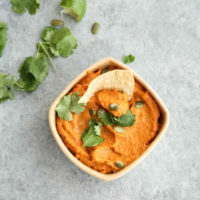 For a less firey result, remove the seeds and ribs from the pepper (very easy to do after a roast), an then puree the vegetables with pepitas, lime juice and water until you get a creamy, smooth consistency that resembles a thick salsa. 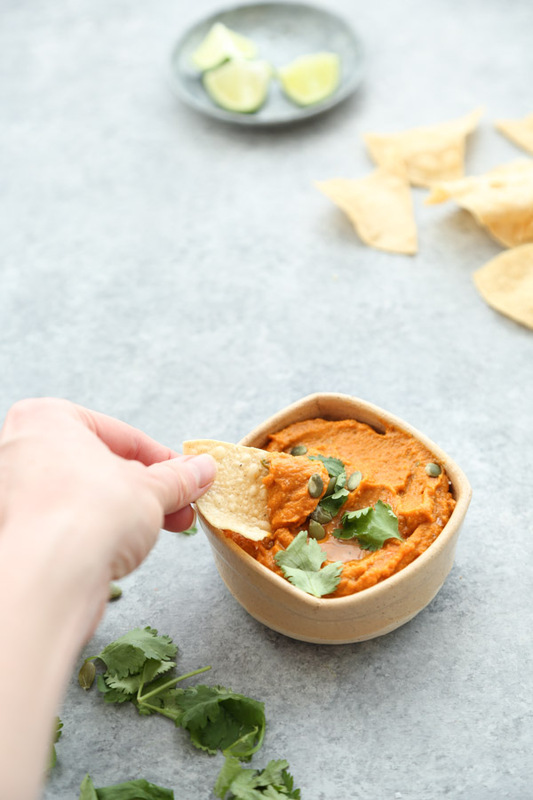 Forgoing the queso may not be easy, but I hope with this delicious alternative, your Super Bowl Sunday will be less of a struggle. And though I just said I wasn’t supposed to: I promise the recipe itself is easy peasy. p.s. In case you missed my FREE workshop this week, click here to find out the 5 Biggest Reasons You’re Not Sleeping & How to Fix Them. p.p.s. There are only 7 spots left in the February session of the 4 Weeks to Wellness Course! If you’re interested in joining, check out the new FAQ section on the site and get on board. 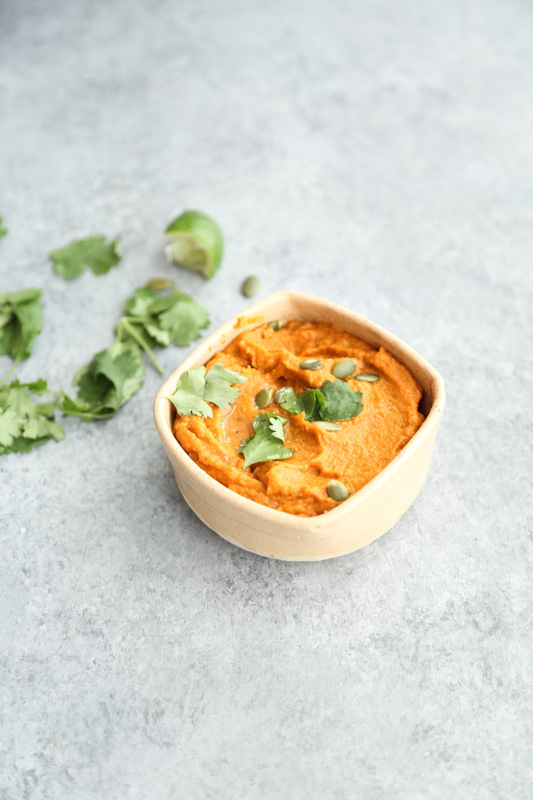 p.p.p.s If you’re looking to save time in your low FODMAP kitchen, check out some of these fabulous store bought sauces, spice mixes and condiments. 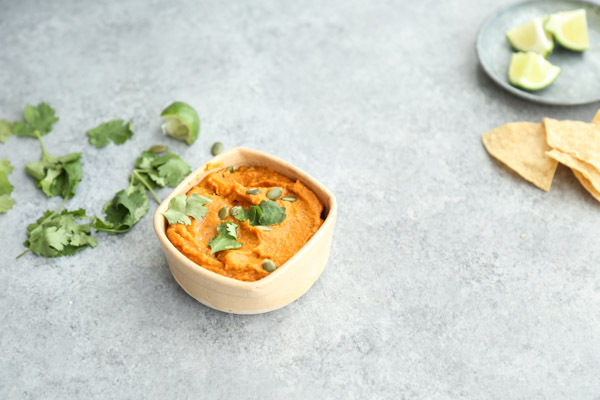 If you're low FODMAP or looking for a healthy, seasonal alternative to regular salsa, this carrot dip is your ticket! You can easily make it nightshade free by omitting the jalapeno and upping the other spices. It's also sugar-free and Whole30-friendly. 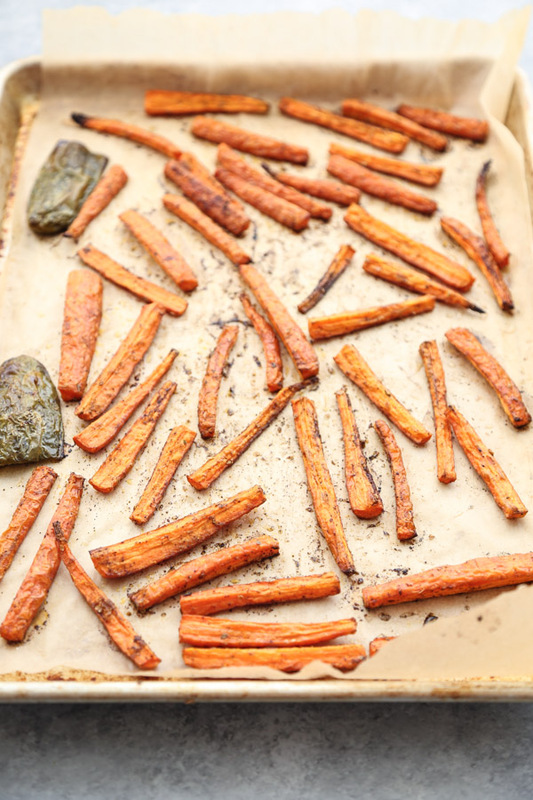 On a parchment-lined baking sheet, toss the carrots, jalapenos, olive oil, sea salt, cumin, chili powder, and oregano together until well combines. Arrange in an even layer on the baking sheet, making sure the jalapeno is cut-side down. Roast in the oven until the carrots are tender and caramelized, 30 minutes. Remove the pan from the oven and reserve the jalapenos on a cutting board. 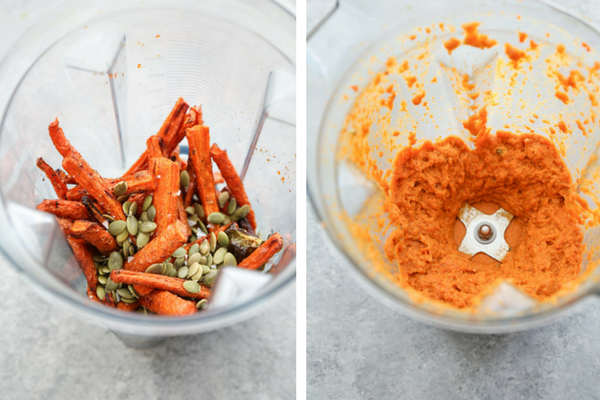 Transfer the carrots to a high powered blender or food processor. When the peppers are cool enough to touch, remove the seeds and ribs with a spoon or pairing knife and discard. 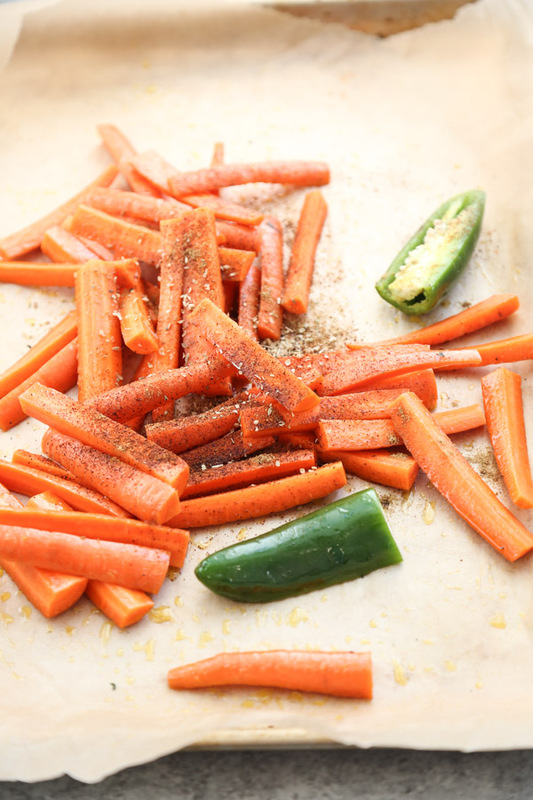 Add the flesh to the carrots, along with the pepitas, lime juice, and 1/2 cup of water. Puree until smooth, adding more water as needed to reach the consistency of tomato sauce. Taste for seasoning and add more salt as necessary. 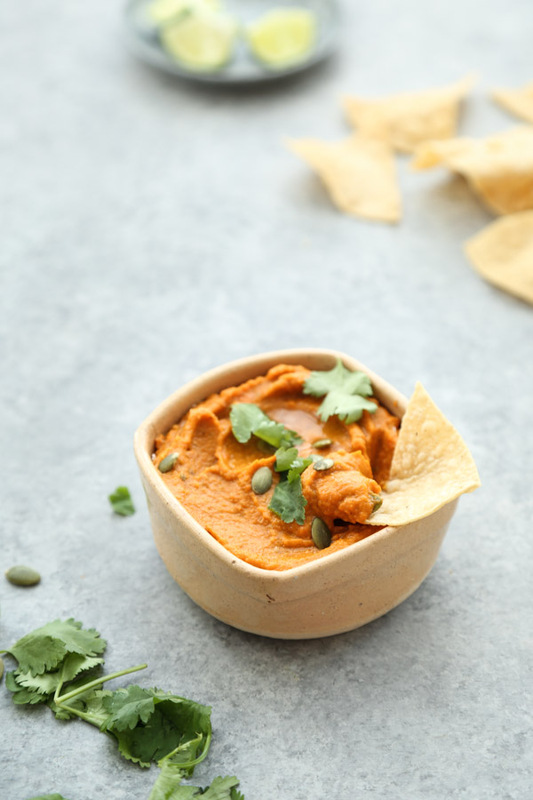 Serve the salsa alongside tortilla chips and crudités. How long did it take u to get back to “normal”? I’m on week 6 of low FODMAP diet for SIBO. Finding myself cheating a bit. Needing some encouragement… Not sure how much longer I can do this. it’s not a death sentence, don’t worry. you can definitely slip and see how it goes. it’s about quantity more than being completely strict. check out all my other posts on sibo and low fodmap. i was fairly strict for 2 months and then when I had retested and SIBO came back negative started to slowly reincorporate.